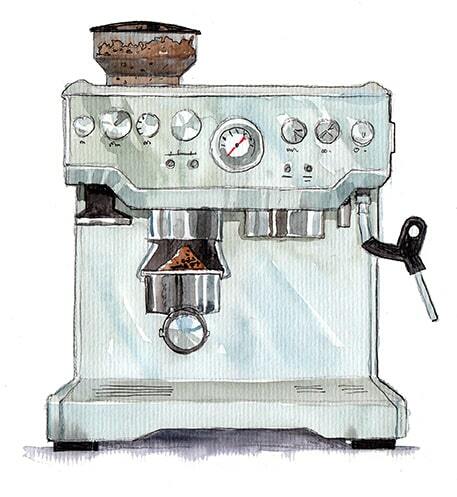 Super-automatic machines are the creme de la creme of full-featured espresso machines. Not sure what that means exactly? Do you want your machine to grind and tamp the beans? Check. Do you want your machine to brew espresso with one touch? Check. Do you want your machine to steam froth the milk? Check. Do you want your machine to add the milk to the espresso? Check! With super-automatics, all you have to do is supply the ingredients and with literally the touch of a button, you have amazing espresso. Many of these machines will also store your precise preferences for each drink, including brew strength and temp for a really customized experience. The Final Shot: The Gaggia Accademia claims the top spot in this category. This machine offers the biggest range of programmable options for brew strength, volume and temp as well as the amount of milk froth on specialty drinks. It also self-primes, has a ceramic burr grinder with 7 settings and the slim detachable milk carafe can be stored in the fridge. It does not get easier and more consistent than a high end super-automatic. Some of these machines rival highly-skilled baristas and really do replace and replicate the coffee shop experience at home. If you’re constantly dropping by your local cafe, this is a great investment. If I could sum up the Gaggia Accademia into one word it would be: Impressive. The Gaggia Accademia is a behemoth of a espresso machine, weighing in at 47 lbs and 11” x 16” x 14.6” in size. This is a big, bold, statement making machine that is professional grade and comes equipped with all the features, styling and high-quality stainless steel construction you would expect from a top-level espresso maker. 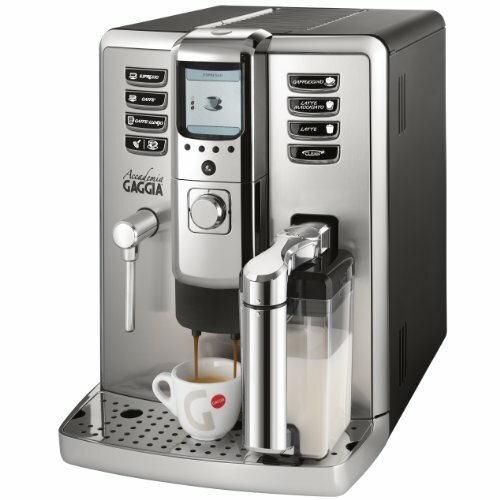 The Accademia is designed with one-touch, programmable, push-button controls for espresso, hot water, and milk that allow you to select your desired beverage from espresso, caffe, caffe lungo, cappuccino, latte, latte macchiato, and hot water, which makes using the machine incredibly easy. Once you get this machine you are going to be trying all different combinations to find out exactly your perfect drink. It feels more like you are using something special when you turn on this machine to make your morning espresso. The intelligent user interface makes learning the new machine intuitive. The Accademia offers a wide range of programmable controls, more than many of it’s counterparts which sets it apart. It features seven fully programmable drink options for tailor-made espresso, caffe, caffe lungo, cappuccino, latte macchiato, and others. The drink temp, volume, and strength can be pre-set to your specifications. Milk selections are also fully customizable and allow you to choose from minimal, normal, or no froth options. Gaggia included a pre-brewing system that maximizes flavor extraction; a ceramic burr grinder with integrated bean hopper and double lid aroma saver; an integrated ground coffee container that’s removable from the front; an adjustable, telescopic coffee dispenser attached at a maximum height of a little over 6 ½’’ in order to accommodate a wide variety of cup sizes; and programmable coffee quantity of up to 10 cups. It has it all. The Gaggia 1003380 Accademia Espresso Machine is by far my favorite in the super-automatic category and is highly raved about with 4 stars out of 5 on Amazon. The Saeco Intellia is my second favorite fully automatic machine. It is well equipped with one touch buttons so you can easily brew up a delicious cappuccino in the morning. Over time you can learn and adapt how strong you want you espresso with easy to use buttons to program exactly how you like your drink. The milk frother takes out all the guess work in hand steaming your milk. It is perfect every time and going to be better and more consistant than the barista down at your local coffee shop. If you start using this machine you will never want to walk into another coffee shop again. The grinder is ultra quiet compared to other super-automatics. It makes waking up early in the morning a little gentler without the jarring noise of a loud grinder. Refilling the beans, water, milk is all very easy. They really engineered this machine to perfection. The milk steaming unit is self contained so when your finished brewing you can pull it off and put it in your fridge for the next time you use it. It is super easy and bueatiful to work with. A lot of high end machines have dedicated milk containers but routes through a nozzle. These can be a pain because you have to clean the nozzel everytime you use it or risk safety/health concerns. The Saeco Intellia you do not have to do this and it make maintenance a lot easier. That is why we buy super-automatics in the first place, to have great tasting espresso drinks without all of the work and cleaning. If you choose the Saeco Philips Intellia you will not be dissapointed. With 4.5 stars on Amazon, it cannot be beat on price and how much people rave about it. In the super-automatic category this is a serious machine. 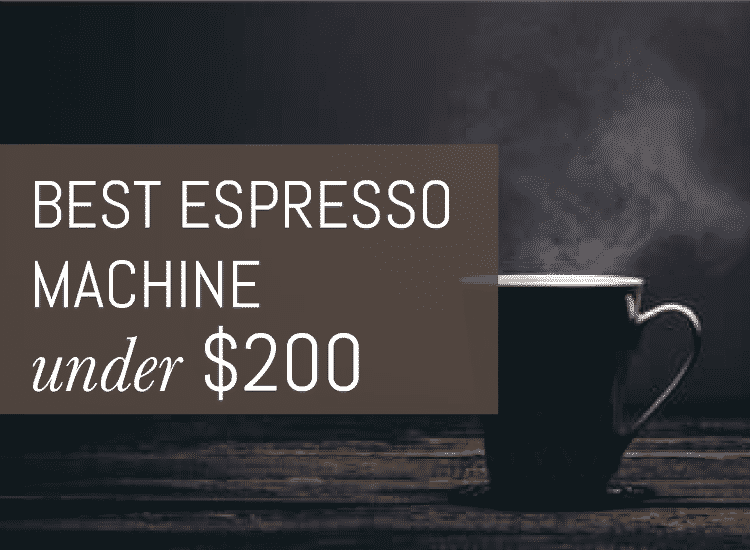 If you are on a strict budget and just getting into espresso the Mr. Coffee Barista express is the cheapest option to still get fully automatic capabilities. This is great for first time espresso makers, it comes with a one-touch control panel that lets you choose from a single- or double-shot of espresso, cappuccino, or latte easily. This is great for the novice express-lover who doesn’t want to be overwhelmed by a million variables and brewing options. If you’re finicky regarding froth, the espresso maker comes with an automatic milk frother that will not only turn your favorite brand of milk into a light, creamy foam, but will also let you select the froth level, allowing you to customize your beverage. If you drink nothing but full-flavored espresso, the espresso maker comes with a 15-bar pressure pump that will extract maximum flavor from every coffee granule. If you’re worried about whether the espresso maker will be a pain to clean, don’t be, because it comes with a removable water tank and drip tray, both of which make cleaning the espresso maker hassle-free. The rest of the espresso maker’s features include: a Portafilter, which ensures the espresso maker produces proper espresso every time; a measuring scoop/tamper, which not only enables you to brew accurately, but also helps you ensure that the ground coffee beans are put in the container evenly; a filter for single and double-shot espresso, which can help you brew accurately as well; and recipes, which enable you to make proper espresso by yourself every time. The only complaints about this machine that customers have aired are its being a little noisy and slightly complicated to use at first. Nevertheless, the espresso maker received a great rating of 4.1 stars out of 5 on Amazon. It is both the cheapest and best-reviewed espresso maker on our list. With the wide array of state-of-the-art super automatic espresso machines currently being sold in the market, it’s possible that finding the best one for you can be a little daunting. There are so many different designs, sizes, and features to choose from that some might not know where to begin. 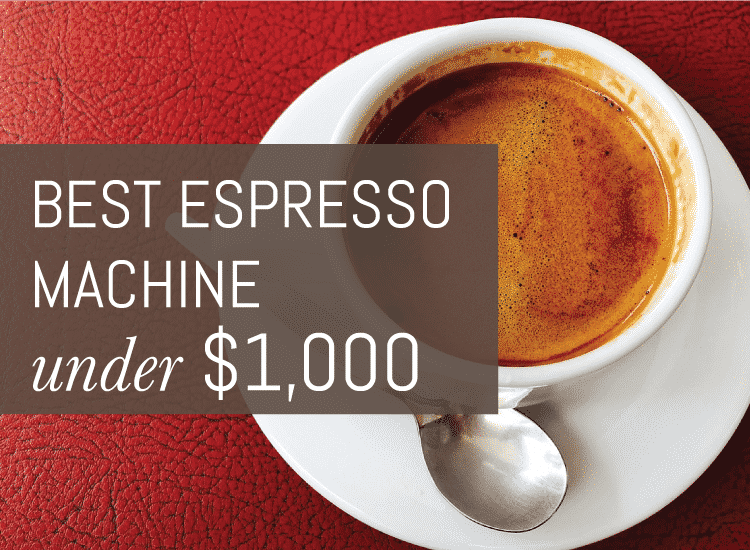 Given our top 3 best super automatic espresso machines, we hope to help you find the best one for your needs.